We all know that to run our best, we have to eat the best. The cooler temperatures no longer ask for a fresh smoothie or a colorful tropical salad. But that doesn’t mean we have to give up on our healthy habits and fresh, delicious foods as the temperatures drop. These amazing superfoods are the living proof that we don’t have to sacrifice color, flavor and nutrients this Fall. And the best part, you can find them in the garden, in your local farmer’s market or grocery store. This satisfying fruit is delicious when eaten raw or baked into a dish. 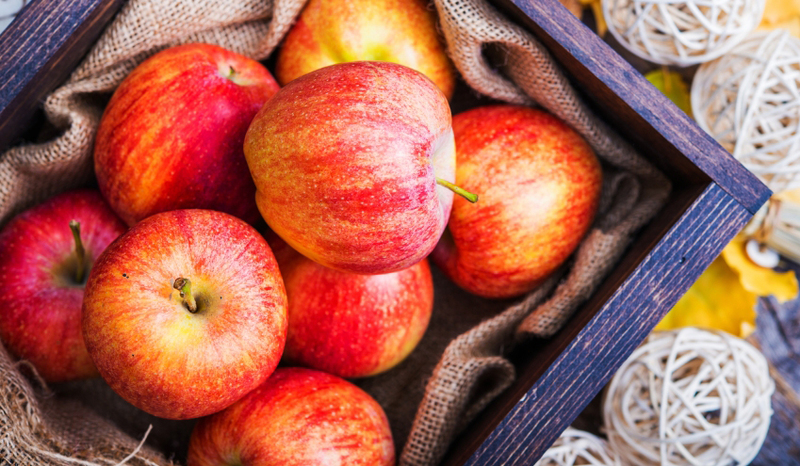 Apples are high in cholesterol-lowering soluble fiber (4 grams of dietary fiber per serving) and, according to a recent study, also contain an antioxidant that may protect against muscle injuries, particularly those caused by downhill running. They make a deliciously healthy post-run compote or can be paired with cranberries for an Apple Cranberry Pie. 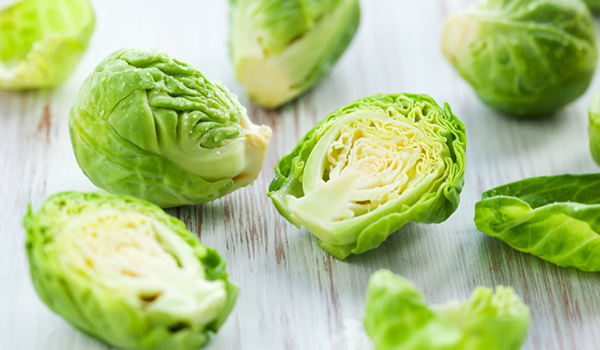 Along with other cruciferous vegetables like cabbage and broccoli, brussels sprouts contain glucosinolates, which destroy cancer-causing agents. In addition, these veggies are a great source of vitamin K, folate and iron. Even though they have a bitter taste, these veggies taste divine when made the correct way. You can lightly steam them or cut them half, toss in olive oil, and bake at 350°F for 20 minutes. They make great side dishes! These veggies are more nutritionally dense than their white-potato counterparts: they are an excellent source of vitamin A, a good source of iron and they contain more potassium than bananas. 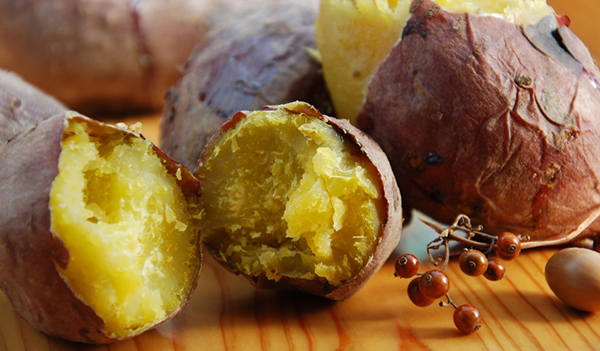 A recent study showed that eating sweet-potato extract for a week boosted levels of antioxidants and lowered markers of muscle damage after a hard run. Instead of boiling, try roasting them. They’ll taste even better, and you may preserve more nutrients than boiling. This slightly sour fruit is rich in anthocyanidins, which help keep cholesterol levels healthy and, according to a study from the University of Texas at Austin, reduce post-run soreness. 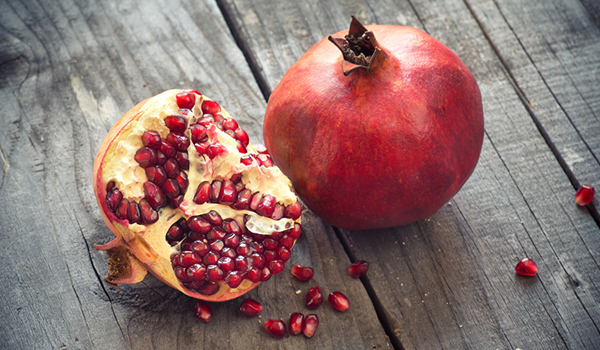 In addition, pomegranates are a good source of vitamin C and folate. The juice provides a tangy base for marinades and post-run smoothies, and the seeds can be sprinkled over salads or yogurt. 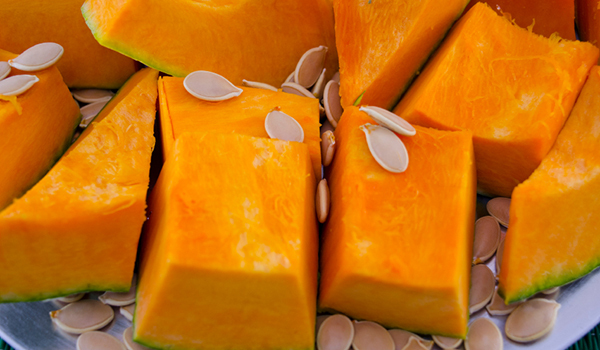 Pumpkin is THE food of the season and can be used for much more than jack-o’-lanterns! Pumpkins are rich in vitamin A, which is the nutrient responsible for giving pumpkin its antioxidants and rich orange color. You’re also getting other minerals, including potassium and calcium, and high quantity of fiber in exchange for fairly low calories. Its sweet taste and moist texture make it ideal for pies, cakes, and even pudding! This entry was posted in Nutrition, Running and tagged fall, foods, superfoods. Bookmark the permalink. Great list! I ate 3 out of 5 of these yesterday! Apples (plain), Brussels sprouts (roasted) and pumpkin (mixed with oats, cinnamon, and honey)!